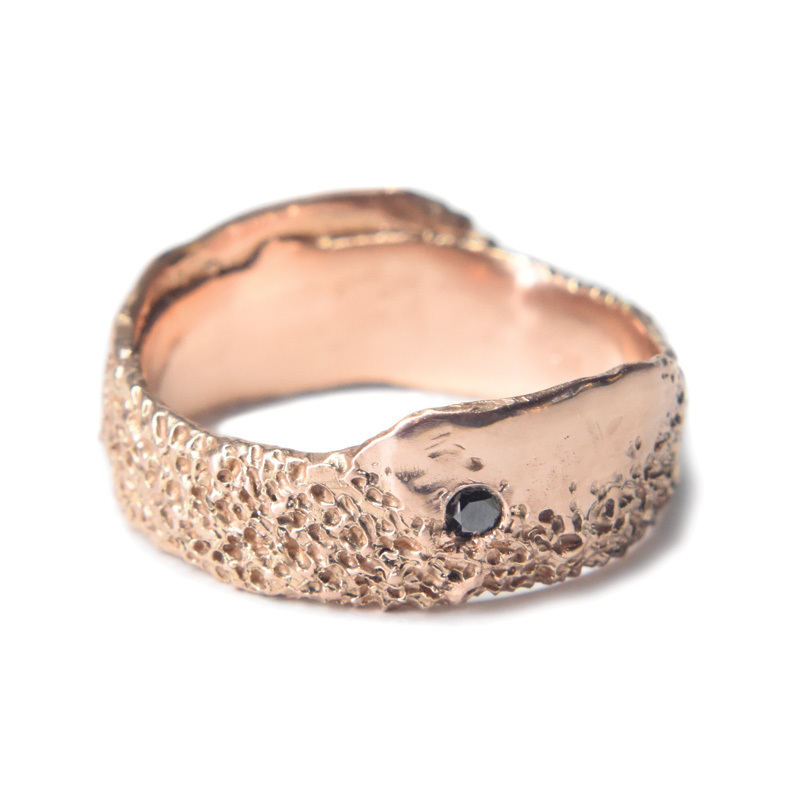 Found Object Ring / eroded gold ring / black diamond / by Welfe. 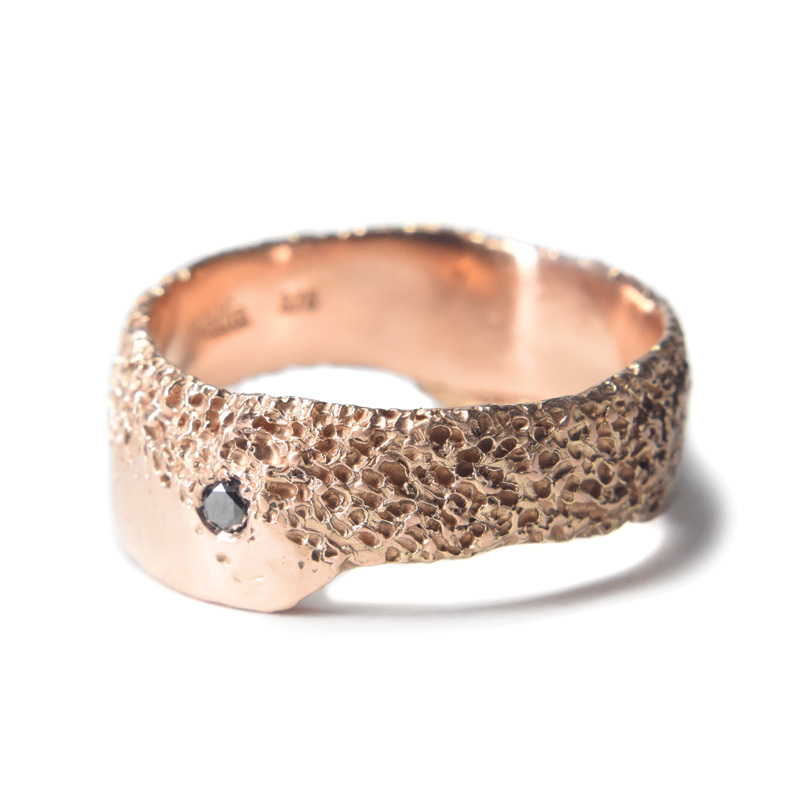 The found object ring is a variable width ring (from 5mm – 8mm) that has a partially eroded and partially polished texture. A small gemstone is set off centre.